The backstory is that we want to make sure we can produce our work in Denmark. For years this has been more or less out of the question. We want to create a facility that will provide a link currently missing in ceramics in Denmark: Yes, mastery of the design aspect is vital, but we also believe that production and technical expertise are natural ingredients as well. A factory in Denmark will keep our craft in Danish hands, where it can evolve to the benefit of the sixteen owners and others working in the field. Basing the factory on the cooperative principle was an obvious choice as it allows the owners to make the decisions while generating an important sense of solidarity around reclaiming our profession and its skills. 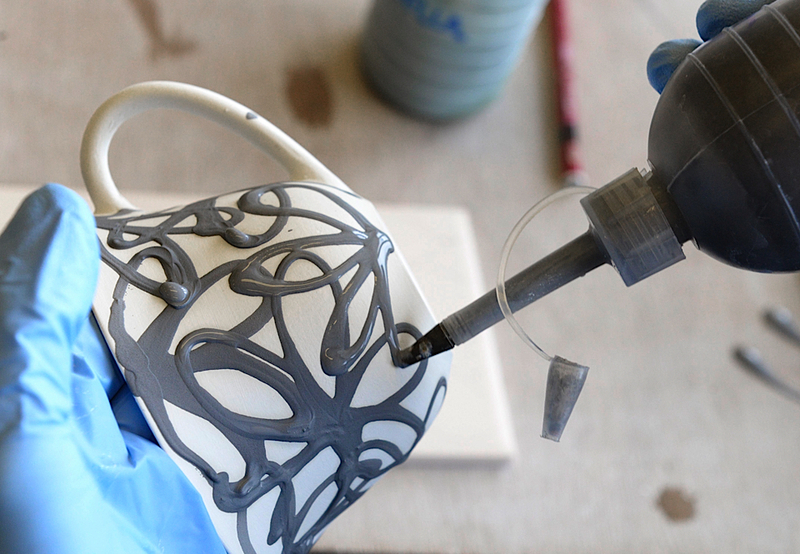 If Denmark is to maintain its prominence in ceramic design, we must possess knowledge, expertise and understanding of every link in the design process, including the appreciation of materials and technical proficiency. If you choose to use the factory for your own output, you will be assured of quality products. 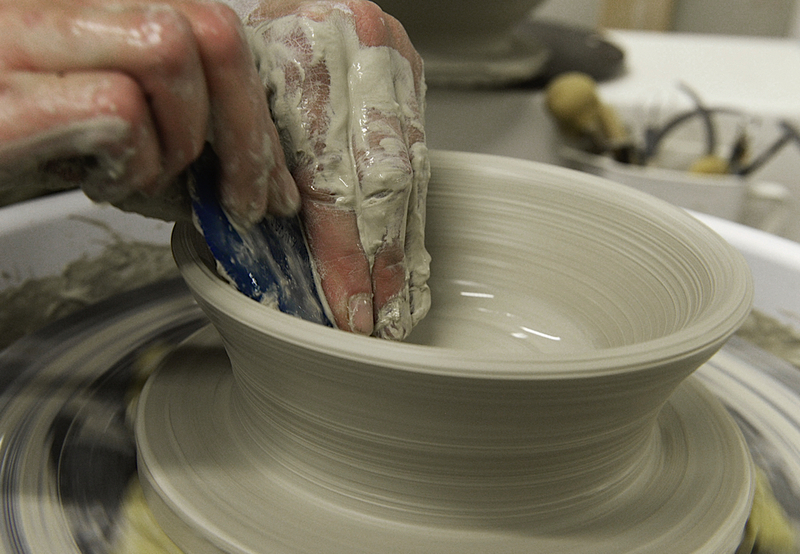 You will also be helping to preserve and develop professional knowledge, expertise and craft techniques in the ceramics field in Denmark. 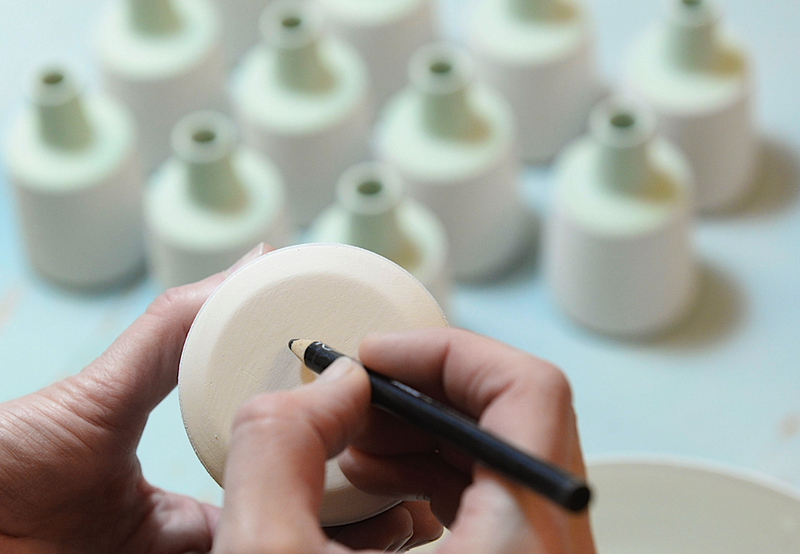 The factory will become a repository of ceramics production knowledge. You will be able to draw on this knowledge and expertise as you develop your products, adding an extra cachet to the marketing of your finished product. 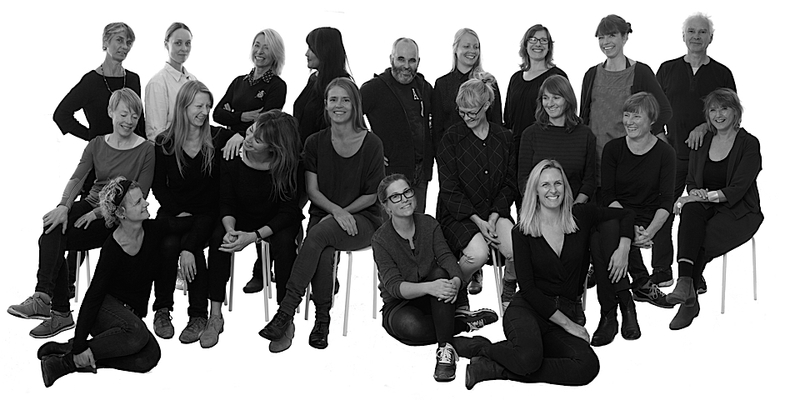 Our goal is to become a production site that maintains Denmark’s reputation for excellence in design that demonstrates respect and appreciation of the materials employed, and masterly ceramics craftsmanship in particular. 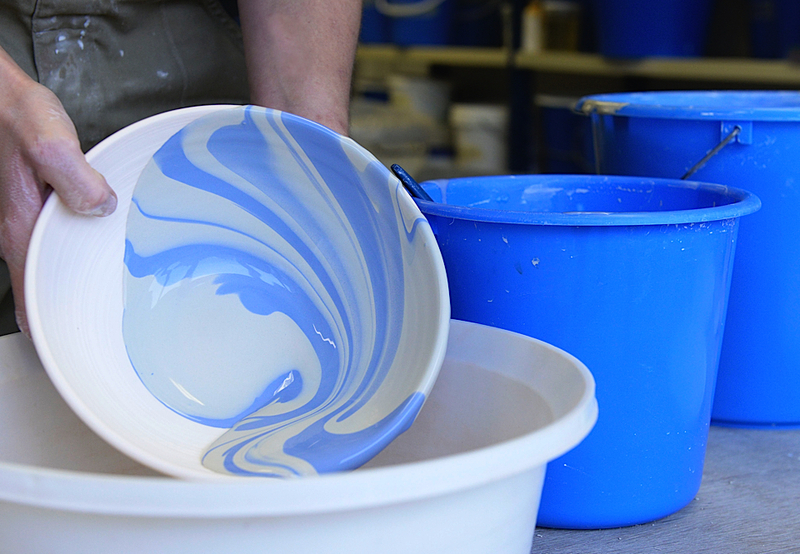 Our production standards are high, and we can turn out products requiring the extraordinary working you see when individual ceramics artists produce in their own potteries. We believe that reliability matters more than speed of production. We honour the agreed delivery dates, but more than anything else we honour the quality we have agreed on. Order sizes may vary: they may be large, small, or for individual items. We also enable you to work with our accomplished craftspersons when you develop your prototypes. The proximity of the production facility achieved by keeping production in Denmark means it is possible to make rapid changes and to get new designs to the marketplace without delay. The Baltic island of Bornholm has been an invaluable partner throughout the process of setting up Den Danske Keramikfabrik. Factories of various sizes have flourished all over the island at different times, and like Denmark as a whole, Bornholm also has a long history where the manufacture of ceramics is concerned. 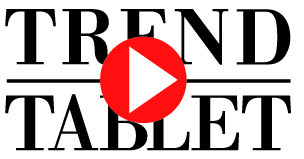 Den Danske Keramikfabrik means jobs for the local community, of which it is a natural part. 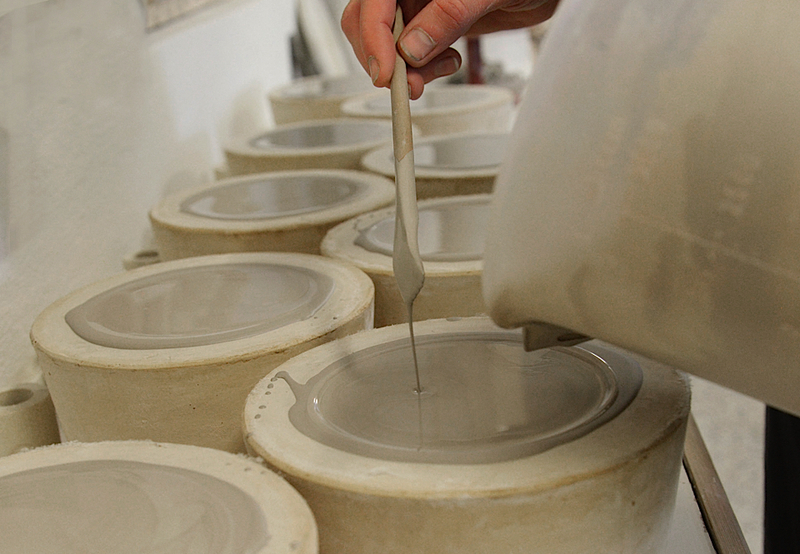 Every year ceramic artists emerge from the Danish Design College in Nexø, a great source of qualified staff. 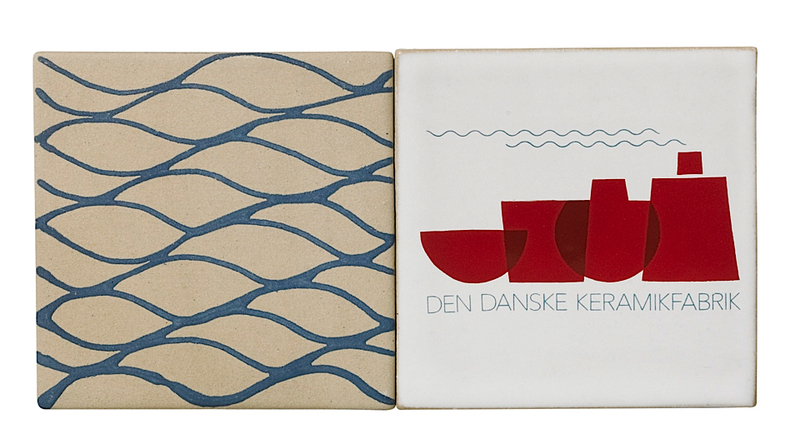 Den Danske Keramikfabrik enables you to follow the manufacture of your products closely. 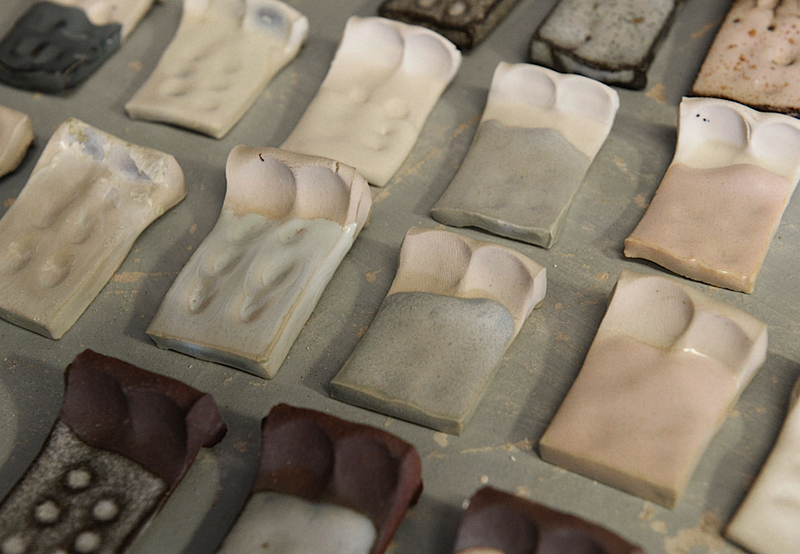 This is an advantage for staff, designers, ceramic artists and other users of the factory. It helps to guarantee high quality and constant innovation in craftsmanship and production methods; in turn this maintains Denmark’s reputation for special expertise as regards materials appreciation and good, high quality design. 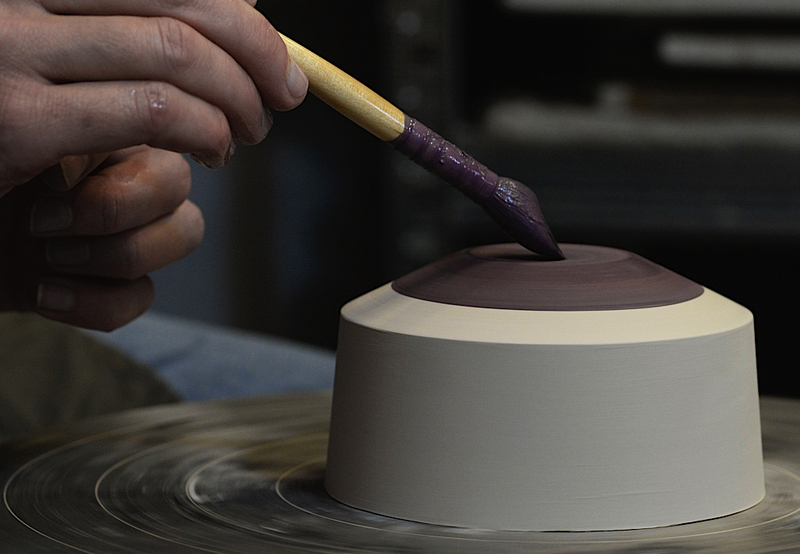 Our reputation will rest on the opportunities we give designers and ceramic artists to follow and influence the manufacturing process, thereby ensuring a high degree of craftsmanship: close collaboration and immediate, professionally qualified communication leading to quality products. Manufacture in Denmark minimizes transport, which will surely benefit the environment. For our users the facility is also close at hand, enabling you to monitor production and satisfy yourself that we meet environmental and occupational health and safety standards. This will allow you to guarantee unequivocally that your products are ethically and environmentally correct. Nobody can deny that producing ceramics is a strain on resources. Our goal is for the factory to make it possible to do so as carefully and with as much consideration for the environment as possible. Electricity supplies on Bornholm are already based in part on wind and solar power, yielding green energy that also protects the environment from pollution. Bornholm has adopted the Bright Green Island strategy. This strategy is continuously evolving and expanding. By 2025 the island should be a carbon dioxide neutral community based on sustained, renewable energy. We are proud to be part of this.